Clinicians, medical professionals, and speech-language pathologists are beginning to quantify patients' progress with numbers, data, and metrics. The trend towards showing improvement or progress is driven by data. 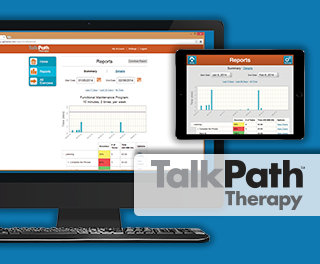 To meet the data need, and make TalkPath Therapy even more user-friendly, we added several advanced reporting features to the platform. 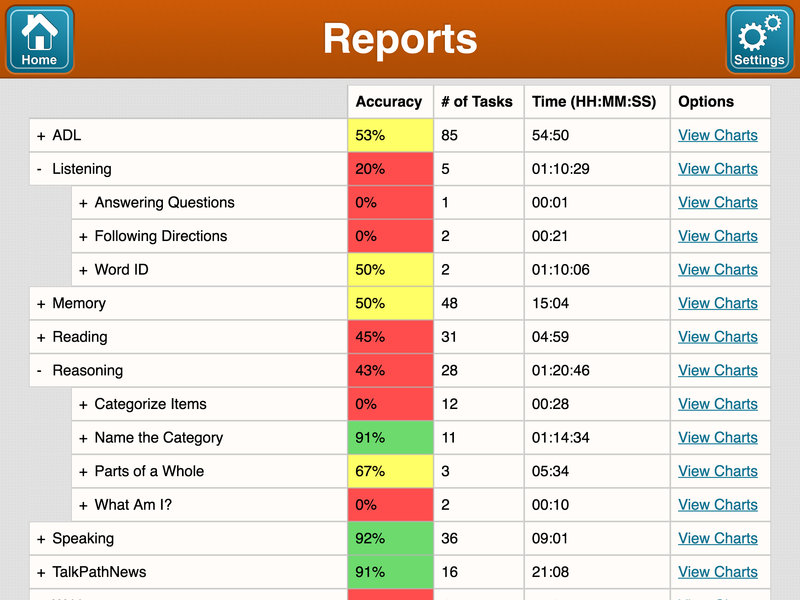 NEW: Color-coded reports show a client's accuracy, number of tasks, time, and expandable charts which are broken down by category, exercise, and difficulty level. The new color coding quickly demonstrates to an SLP where a client is performing well (as indicated by the green color), and where they might need some improvement (as indicated by a yellow or red color). This helps SLPs make more informed decisions about their clients' plans. Also, clinicians who are working on the Web can download the pdfs of these detailed charts and add them to their therapy notes. NEW: The Clinician Dashboard interface is updated with several new features that make it easier to navigate. Now, clinicians can change a difficulty level or launch an exercise right from the dashboard. Additionally, NOMS levels are now listed next to every exercise category. With this listing more prominently displayed, clinicians can accurately assign the right level of difficulty to a client. 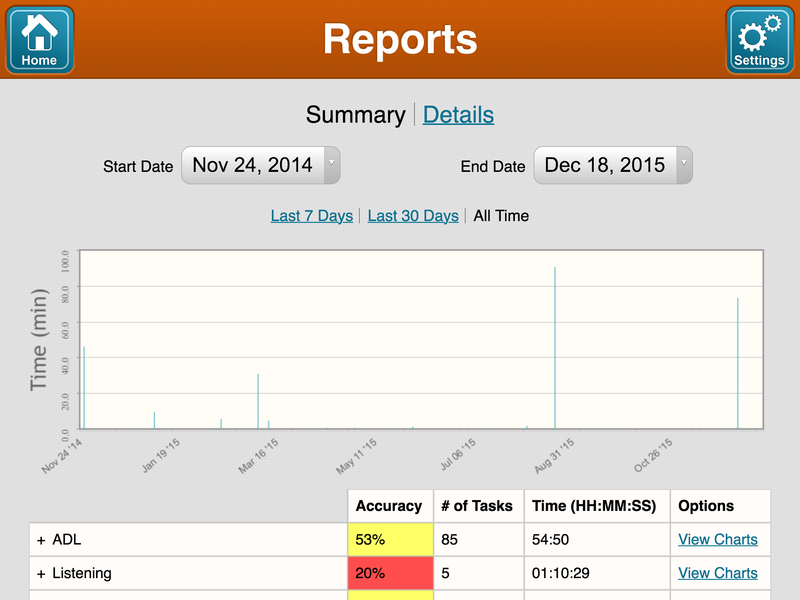 Finally, icons on the right of the screen now represent the "reports," "use as client," and "settings" features. 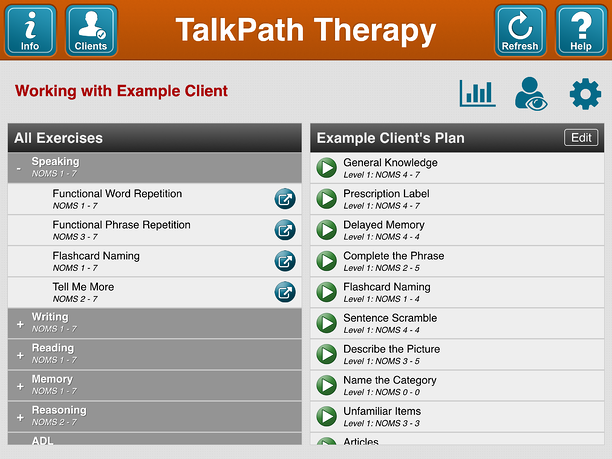 These new additions ensure a clinician can seamlessly transition from the TalkPath Therapy iPad app or website. 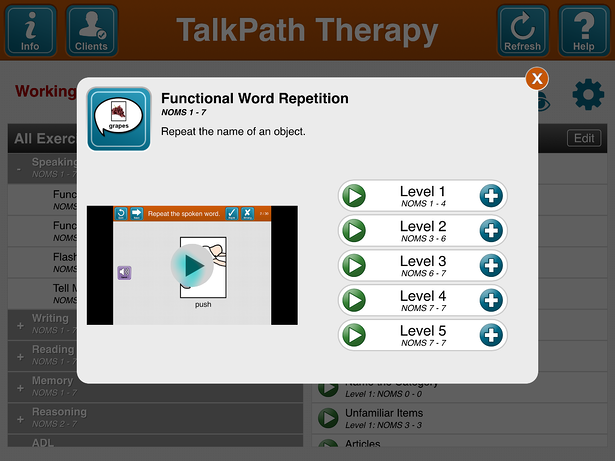 Lingraphica's TalkPath Therapy is still free for clinicians and clients to use from the iPad app or the website. Clinicians who want to learn more about integrating the platform into their clinic, facility or practice can connect with a member of our team.